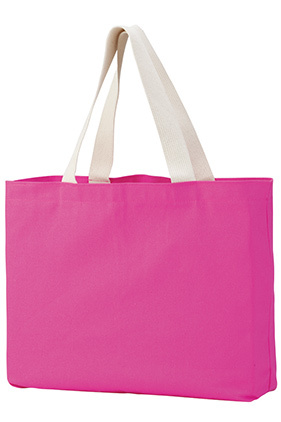 100% cotton canvas, 12 ounce jumbo tote. Natural 22" web handles, 9½" drop. Made in the USA.